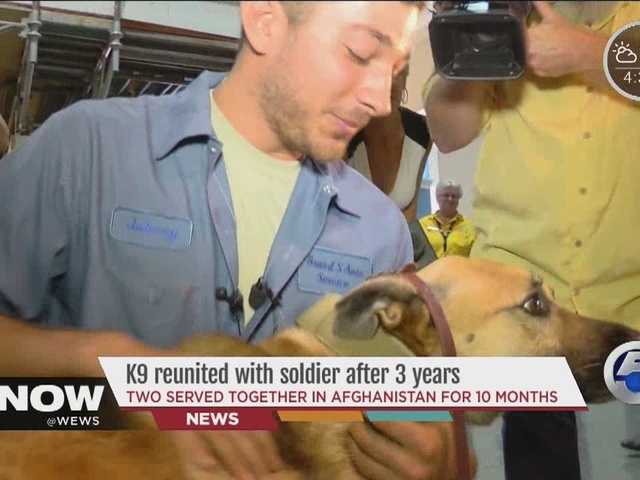 A soldier and his K9 companion—who were deployed together in Afghanistan—reunited in Cleveland Tuesday after three years of being apart. 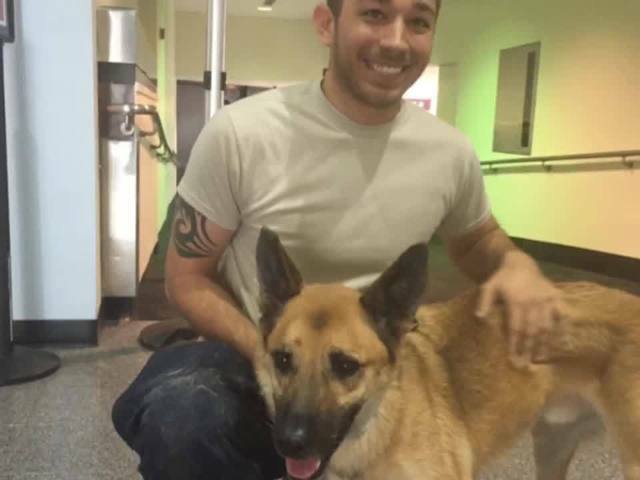 U.S. Army Specialist John Nyerghes was reunited with Tactical Explosion Detection Dog Ranger R647 at Cleveland Hopkins International Airport. Nyerghes and Ranger were deployed to Afghanistan in 2011 and are credited with saving more than a thousand lives. But when they got back in 2012, the pair was separated. Nyerghes says he has been searching for Ranger ever since. "We separated in 2012, and after hearing that he had been recycled to another handler, I completely lost track of him," he said. Shortly after, Ranger and 11 other military dogs were adopted by a private contract company that later abandoned them at Mt. Hope Kennels in Richmond, Va. The kennel's owner, Gary Meredith, accepted the dogs and kept them for nearly a year and a half before they were handed over to the United States War Dogs Association and the Mission K9 Rescue. When the dogs were taken, Meredith was left with $150,000 in expenses. Now the organizations are partnering to reunite the dogs with their handlers and raise money for Meredith's kennel at the same time. YOU CAN DONATE TO MT. HOPE HERE. And Ranger officially has a place to call home. "I owe him my life", Nyerghes stated. "I intend to spoil him for the remainder of his." WATCH Megan Shaw's full report at 4 and 6 p.m.